We offer a comprehensive online library featuring construction safety training courses and certifications for Spanish-speaking workers and contractors in the construction industry, the general industry, and the petroleum industry. 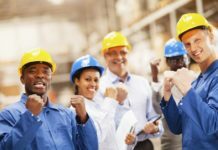 As an OSHA-accepted training provider, these courses introduce workers to job-related health and safety issues covered by OSHA. You will find supplementary materials available for download by clicking the “Materials” tab on the menu located within the course player. 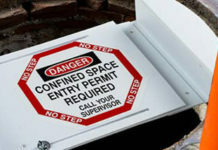 Other reference materials are available from the OSHA website – please visit http://www.osha.gov/dte/outreach/. Are you OSHA Approved and are your courses compliant and approved? OSHA does not approve or endorse products and therefore a course cannot be OSHA approved. OSHA only authorizes or accepts training providers. We offer an OSHA accepted program provided by 360training.com, an OSHA accepted provider. What are OSHA’s rules for online training? Spend at least 600 minutes in a 10-hour training course and 1800 minutes in a 30-hour course. Complete a survey evaluating the course upon completion. Complete all course work (including survey) within three months for the 10-hour Outreach courses from the starting date. Complete all course work (including survey) within six months for the 30-hour Outreach courses from the starting date. Start the course within 12 months of registration. Pass all quizzes and the final exam with a score of 70% in three attempts or less. Is there a time restriction on completing the OSHA 10-Hour and 30-Hour Outreach Courses? Yes. You must complete the course within three months of the day you began the 10-hour courses. You must complete the course within six months of the day you began the 30-hour courses. You must begin your course within 12 months of registration. Who should take a 10-hour or 30-hour safety training course? The 10-hour course is intended for entry level workers. The 30-hour program is for workers with some safety responsibility. What is covered in the 10-hour and 30-hour safety training courses? The 10-hour safety training courses provide basic awareness training on the recognition, avoidance, abatement, and prevention of workplace hazards. The course also provides information regarding workers’ rights, employer responsibilities, and filing a complaint. The 30-hour safety training courses provide a greater depth and variety of training on an expanded list of topics associated with workplace hazards in each industry. OSHA provides authorized trainers procedures for each industry program on the topic outlines for each industry. The timeline below should help clarify the minimum MSHA Part 46 training requirements. Prior to taking any of these courses, you should confirm which training is required by your employer and that your employer accepts this training as part of an approved training plan. 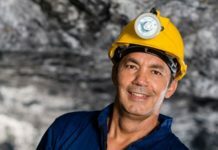 While these regulations refer to “Miners,” MSHA requires that mining contractors who perform work at surface mines on a regular basis to have all of the same training as a surface miner. A person beginning employment as a miner or an independent contractor performing work at a mine is considered a New Miner. New Miners require a minimum of 24 hours of training in 9 subjects within their first 90 days of employment. MSHA Part 46 Compliance Guide – Here’s a link to MSHA’s online guide for Part 46. Mine Safety and Help Network – Provides MSHA help from a legal perspective. Our training partner offers Training Plans in a downloadable format to help organize your employee training. Download Training Plan Templates – Here are downloads of our Training Plans in Microsoft Excel/RTF format based on an MSHA templates and guidelines. Link to MSHA’s Training Plan Guide – Here’s a PDF of MSHA’s Training Plan Guide. 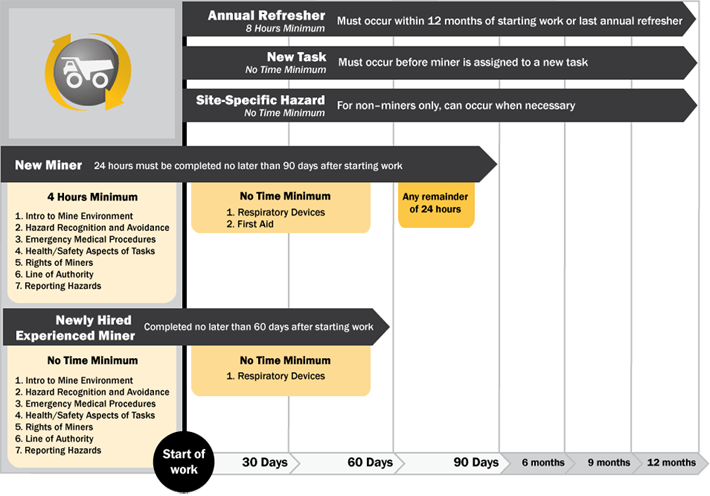 Link to MSHA Online Training Plan Advisor – MSHA provides an online Training Plan creation tool that also allows you to submit the finished output online. Be prepared. It may take a while to get through. Download Template – Here’s a blank Record of Training template in Microsoft Excel format based on an MSHA template. For those people who are affected by mold exposures there can be a wide variation in how they react. 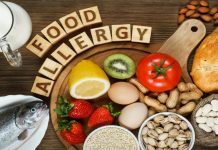 People at greatest risk of health effects are individuals with allergies, asthma, sinusitis, or other respiratory conditions, as well as infants and children, elderly people, and pregnant women. In addition, individuals with a weakened immune system are at risk. Introduction to Mold and Mold Remediation for Environmental and Public Health Professionals (PDF). Environmental Protection Agency (EPA) Mold Web Course. Gives specific recommendations for personal protective equipment (PPE) when cleaning mold. 29 CFR 1910.134, Respiratory protection. OSHA Standard. A Brief Guide to Mold in the Workplace. OSHA Safety and Health Information Bulletin (SHIB), (2003). Fungi Hazards and Flood Cleanup [3 KB PDF*, 2 pages]. OSHA Fact Sheet, (2005). Mold [22 KB PDF*, 2 pages]. OSHA Fact Sheet, (2005). Guidelines for the Protection and Training of Workers Engaged in Maintenance and Remediation Work Associated with Mold [448 KB PDF, 43 pages]. National Clearinghouse for Worker Safety and Health Training, (2005). Mold Remediation in Schools and Commercial Buildings. Environmental Protection Agency (EPA), (2001, March). Guidelines on Assessment and Remediation of Fungi in Indoor Environments [71 KB PDF, 25 pages]. New York City Department of Health and Mental Hygiene, (2008). Respirator Selection Logic 2004. Centers for Disease Control and Prevention (CDC), (2004, October). The National Environmental Policy Act (NEPA) is a United States environmental law that established a U.S. national policy promoting the enhancement of the environment and also established the President’s Council on Environmental Quality (CEQ). The essential purpose of NEPA is to ensure that environmental factors are weighted equally when compared to other factors in the decision making process undertaken by federal agencies. The guidance includes a building inspection checklist and may be of interest to people working in office buildings, schools and other nonindustrial buildings. The Mold Professional shall uphold the honor and dignity of this profession and avoid association with any enterprise of questionable character or apparent conflict of interest. The Mold Professional shall protect and promote the interests of the client to the best of the Mold Professional’s ability and knowledge, recognizing that the client has placed its trust and confidence in the Mold Professional. The Mold Professional shall always endeavor to maintain and increase his/her level of knowledge regarding new developments in the field. The Mold Professional shall conduct his/her business in a manner that will assure the client of the Mold Professional’s independence from outside influence and interest, which would compromise the Mold Professional’s ability to render a fair and impartial opinion, regarding any inspection performed. The Mold Professional shall not accept compensation from more than one interested party for the same service on the same property without the consent of all interested parties. The Mold Professional shall promptly disclose to the client any interest in any other business which may effect the client, the quality, or the result of the inspection or remediation. The Mold Professional shall not knowingly use the inspection or remediation process to obtain work in another field. The Mold Professional shall make every effort to uphold, maintain and improve the professional practice, integrity and reputation of The National Association of Mold Professionals. Workers can be exposed to asbestos fibers during activities that disturb asbestos-containing materials including during home or building construction, renovation or demolition. OSHA is responsible for establishing standards to protect the health and safety of workers who may be exposed to asbestos in the work place. Through EPA’s regulatory authority under the Toxic Substances Control Act (TSCA) (PDF) (35 pp, 280 K, About PDF), the EPA is responsible for protecting state and local employees who may be exposed to asbestos from their jobs in states without an OSHA-approved state occupational safety and health plan who may be exposed to asbestos from their jobs. The Environmental Protection Agency (EPA) also provides requirements for asbestos inspectors and workers. 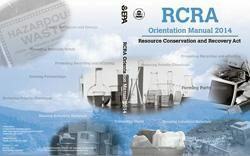 Organizations that offer training courses must meet EPA guidelines. In addition, one training discipline (project monitor) is recommended. In addition to this initial training, asbestos professionals must take annual refresher training. 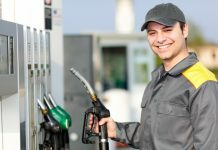 The EPA determined that online training can satisfy this requirement in lieu of in-person training. 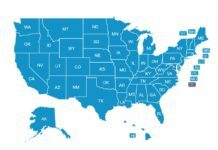 Many states administer an asbestos program and your state department of environmental protection or health will be the best place to address asbestos questions that can not otherwise be answered with the information on this website. The states will also have the most up-to-date list of training courses for asbestos professionals. 29 CFR 1926.1101 – OSHA’s Asbestos Standard for the Construction Industry [PPT*]. OSHA Slide Presentation, 80 slides. This page provides a listing of the laws and regulations pertaining to asbestos implemented by the EPA and certain other federal agencies. See more information on U.S. Federal Bans on Asbestos. USDOL Occupational Safety and Health Administration (OSHA) works to prevent injuries and protect the health of workers.